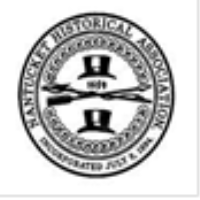 NANTUCKET, MA – The Nantucket Historical Association (NHA) is excited to launch a new youth program series: Mini-Mornings at the Museum. The series is designed for children ages 2-5 and will include a story-time session covering a wide range of topics. Following story time, children will have an interactive experience with an object from the museum that connects the story to the NHA’s collections. The series will kick off with the book A Hundred Billion Trillion Stars by Seth Fishman and a telescope that belonged to Maria Mitchell. “With this program, we hope to make young audiences comfortable in a museum setting with a book, an object, and an enjoyable activity that they can take home to remember their time at the museum,” says Amy Durbin, manager of education. The series will begin on March 15 and be held 10-11 a.m. every other Friday in March and April. Mini-Mornings at the Museum is free and open to the public in March and free with museum admission in April. The NHA is also pleased to announce the return of Winter Discovery Days, a free, drop-in after-school program for children ages 4-12. The program features different craftsevery week. This year’s themes include lighthouses and lightships, architecture, African-American history on Nantucket, whaling, notable women of Nantucket, and simple machines. Winter Discovery Days will be held Monday through Friday, February 11 to March 22, 1-4 p.m. The program is free and open to the public. Both youth programs will be held at the Whaling Museum, 13 Broad Street. For more information, please visit www.nha.org or call (508) 228-1894. The NHA’s mission is to preserve and interpret the history of Nantucket through its programs, collections, and properties, in order to promote the island’s significance and foster an appreciation among all audiences.